We go back a ways, this region and UFOs. We’ve been at the forefront of believing they’re more than just explainable lights. And so when Hillary Clinton made headlines by saying recently that if elected president, she’d open up Area 51 files and any other UFO documents “as much as we can,” it particularly resonated here. The man reporting the encounter was credible — Kenneth Arnold, a businessman who often used his own plane. He also was a member of the Idaho search-and-rescue. He had more than 4,000 hours of mountain high-altitude pilot time. Nonconformity thrives in the Northwest, from the searchers for Bigfoot to electing Socialist politicians. Una Drake runs the Seattle UFO Network Meetup group. It has 519 members. 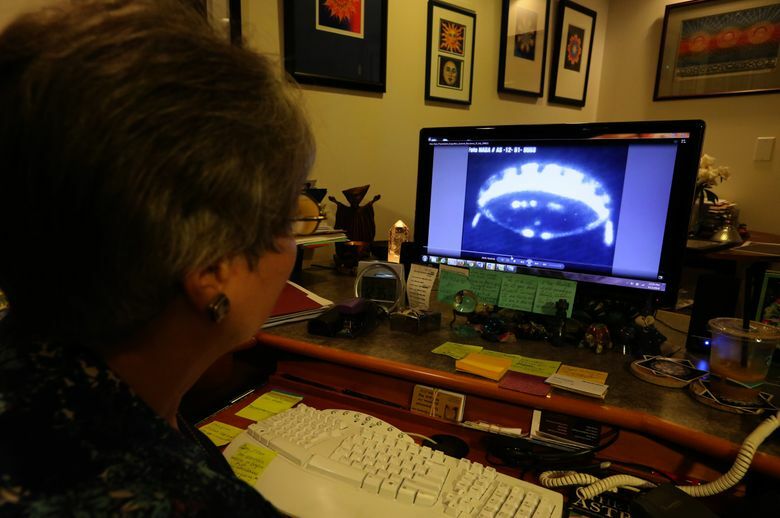 They do stuff like taking trips to Trout Lake by Mount Adams, a hot spot for UFO sightings. The mother of two also runs a business as a dating coach. None of those interviewed said Clinton’s statements about making public any documents on Area 51 and aliens would really break new ground. The truth is out there, they say, but why would the government bigwigs suddenly announce they had kept such astounding information from the public? He says his background includes 20 years with the Aberdeen Police, ending up as a sergeant, and work as an investigator for the Children’s Advocacy Center of Grays Harbor. Has he ever seen a UFO? That would be jealous of a couple such as Jim and Roxanne Dunn, of Friday Harbor. At about 6:15 p.m. on Jan. 15, 2015, the couple was driving to a lecture on salmon migration. 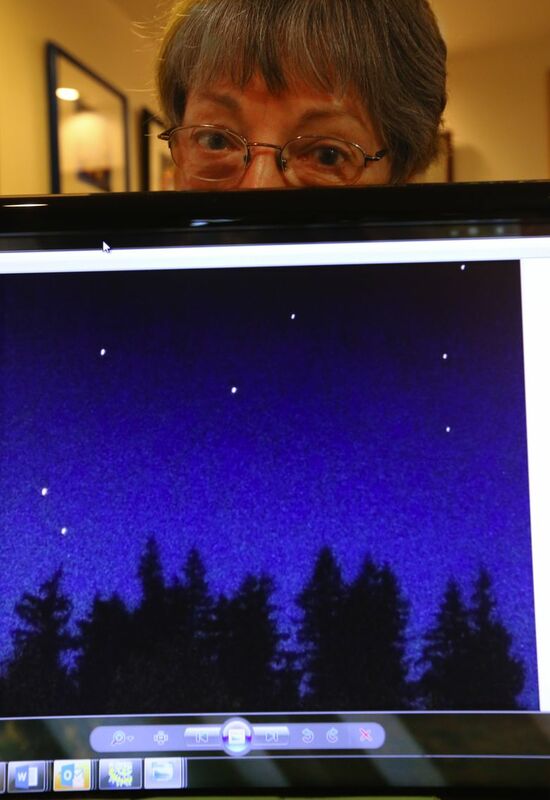 They pulled over into the local hardware center to watch three unusual orange lights in the sky by the Friday Harbor Airport. “They sort of stopped, started flying erratically up and down, went really fast, got out of town, diminished in size and disappeared,” remembers Jim, 72, a retired architect. Both he and his wife are private pilots familiar with the skies around there. Dunn is convinced it was not a drone because it moved so fast, and not somebody playing with a laser beam because it was a clear night and there was nothing for the light to bounce off. When Dunn contacted air traffic control at Naval Air Station Whidbey Island, he says, they found only that a helicopter had been in the area, and that was 45 minutes after the sighting. The story ended up in the Journal of the San Juan Islands, and the Dunns heard from two other people who said they had seen something. So what to make of a claim such as the Dunns’? UFO believers are easy to make fun of. Jim Dunn says they saw what they saw. “It’s got to be something from another world. It’s nothing I could rationalize,” he says. Or, there is Madeline Gerwick, of Arlington. At around 10 p.m. on June 6, 2015, she was pumping gas at a Safeway near the Arlington airport. “I saw several orange lights jump up into the sky very quickly, one after another. Each one popped up within a second or less after the one before it,” she says. Gerwick did consider that they might be Chinese lanterns, the small, paper hot-air balloons that float in the sky and eventually burn up. But these lights moved at an extraordinary speed and were obviously controlled. She took out her smartphone and managed to take 10 photos. As is usually the case with photos taken of UFOs, they showed blurry spots of light. What you see live with your own eyes is considerably different from what shows up as pixels taken on the spur of the moment by a nonprofessional photographer. Before this incident, Gerwick had never seen a UFO. She is an astrologer, though, so she knows that for some, that’ll taint her report. “In my profession, I can’t worry about that,” says Gerwick, 64, about how some might perceive her. 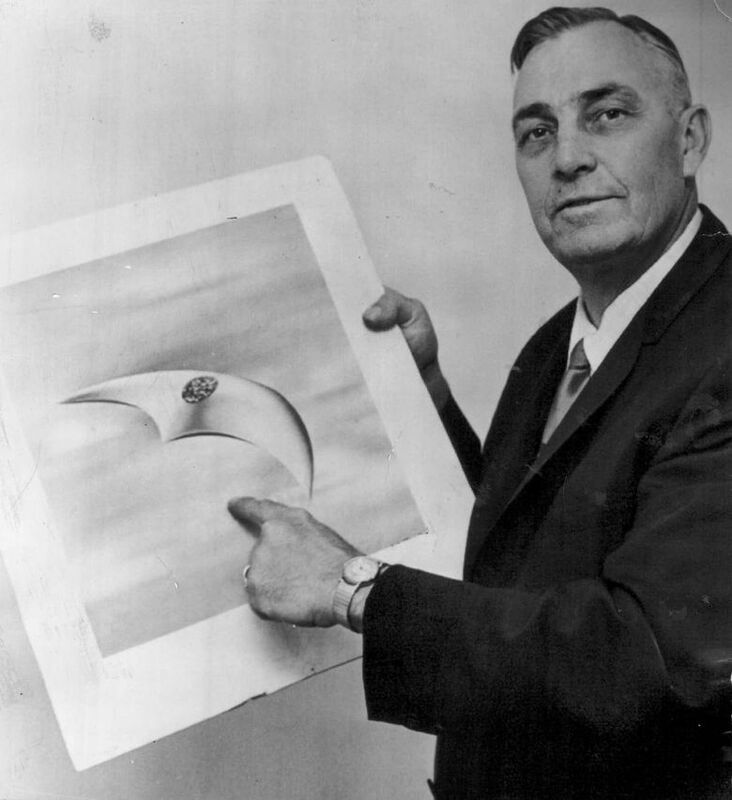 The reports from Gerwick and the Dunns first appeared through the National UFO Reporting Center, based in the little Eastern Washington town of Harrington. It’s been the life’s work of Peter Davenport since 1994, and is likely the most exhaustive national collection of such reports — 107,000 so far. He tries hard to keep the reports as objective as possible. The mainstream media’s UFO coverage frustrates Davenport. “What will it take to wake the press up?” he asks. 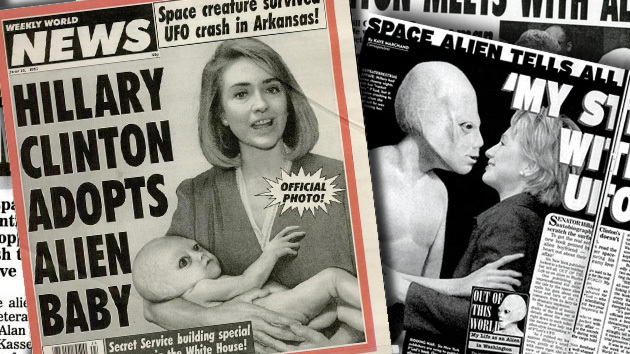 The Weekly World News, the supermarket tabloid that now exists only as a website, made it a tradition to have covers depicting politicians and an alien. 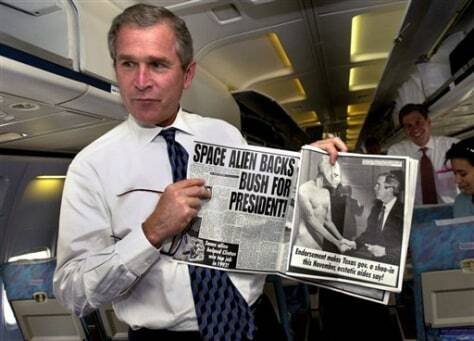 The alien also backed Bill Clinton, Barack Obama and George W. Bush when they ran for president. In the 2000 race, on his campaign plane, Bush held up a copy of the tabloid showing him and the alien. The wire-service photo became a classic. In 2012, National Geographic carried out an interesting survey. 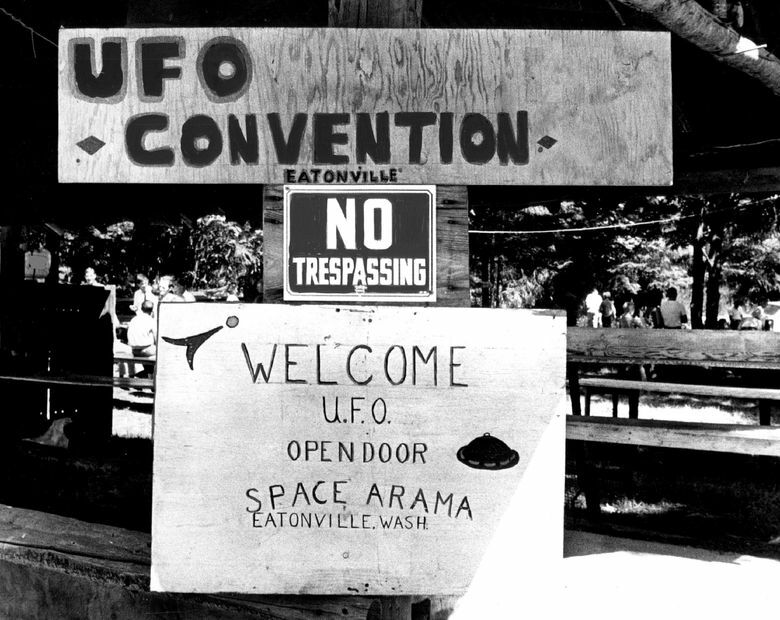 It turns out that 88 million American adults (36 percent) believe UFOs exist, and 27 million (11 percent) say they are confident they’ve seen one. Maybe that’s why when politicians are asked about aliens, they might make a lighthearted joke, but not go overboard. That’s a lot of people to make fun of.